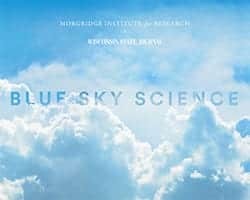 News & Stories > Blue Sky Science > How does the epiglottis distinguish between water, food and air? The epiglottis is one of several layers of protection to your airways when you swallow. The epiglottis responds to swallowing in this way because of tiny sensitive nerve endings in the mouth and throat that surround and coat the epiglottis. All of those nerve endings help the brain know when to swallow, and have a role in other functions like breathing, eating, sleeping and talking. When you swallow, your mouth analyzes the liquid or the food that you’re preparing to swallow, and all of that analysis gets communicated to your brain in a lightning quick fashion. As your tongue pushes the material to the back of the throat, the nerve endings collect that information, send it to the brain, and the brain sends out its program for swallowing. There are different programs depending on what you’re swallowing, even depending on how much you’re swallowing. Our brains act as the center point for swallowing, the little nerve endings are the communicators, and the muscles and the structures—including the epiglottis—carry out all of those different tasks.